Hey, dolls! I hope you are all enjoying your day. 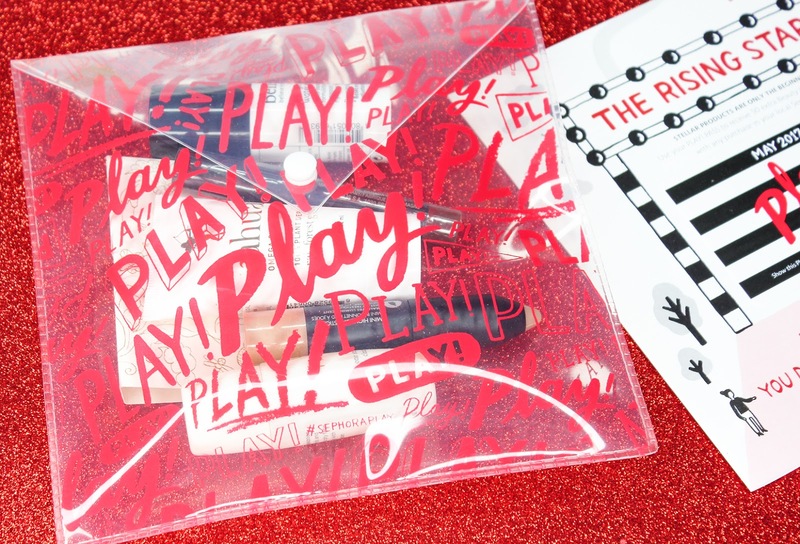 I am going to be sharing with you guys today what I received in last month's Sephora Play! 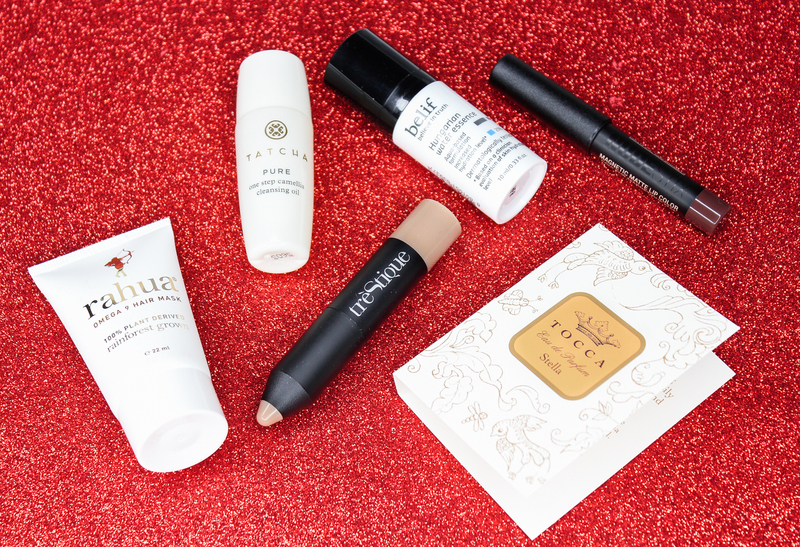 box, which was all about the rising stars; putting the spotlight on cult favorites, unique formulas, and one-of-a-kind brands that are already taking the beauty world by storm. Let's explore the box, shall we? 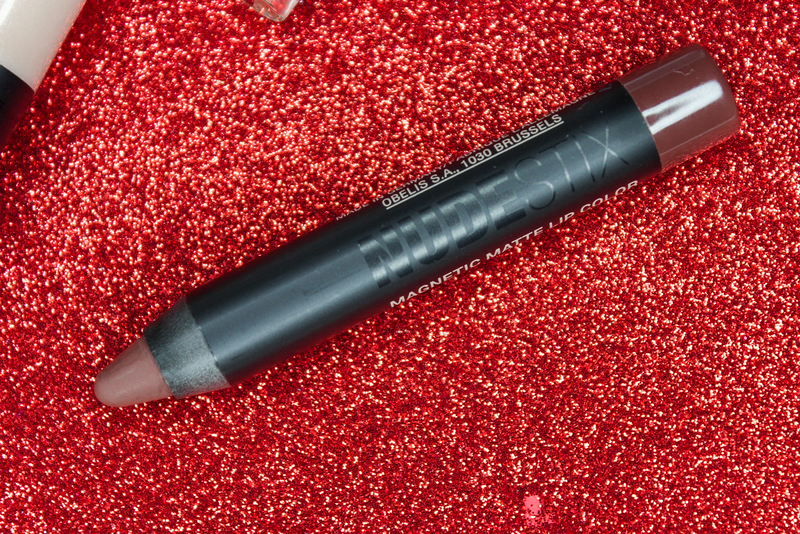 I already own a few NudeStix pencils and they are easily one of my go-to's when I am pressed for time, and want something quick and easy to use. NudeStix's pencils are multi-use, creamy, lightweight, long-wearing, and the colors have great payoff. Unsurprisingly, I am totally digging Greystone-a neutral brown with grey undertones. I usually would wear a dark hue like this one during the fall and winter months, but I can definitely see Greystone being a nice option for summer too; particularly night-out looks. I love how flattering the color looks against my skin, and the matte finish is just too good. I have always been intrigued by Tatcha's skincare products, but their steep prices always push me away. I am glad that I received this sample of their cleansing oil to try, which helps cleanse skin while also removing makeup and impurities. The oils in the cleanser are plant-based, and don't strip skin of essential moisture like some traditional cleansers can. 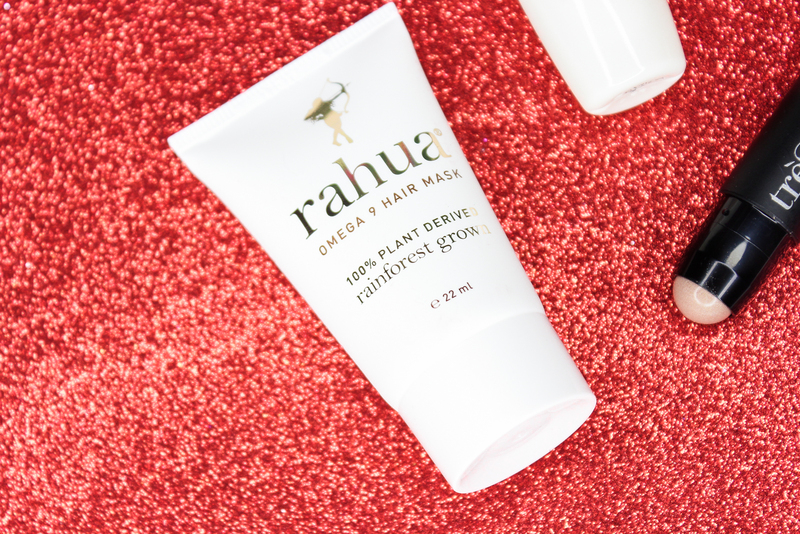 This conditioning hair treatment contains an omega-rich oil that helps rejuvenate, add shine, moisture and vibrancy to dull and damaged hair. I gave this hair mask a try over the weekend and unfortunately, this just isn't for me. My hair is pretty dry and damaged, and this mask did absolutely nothing when it came to tackling my hair woes. I wasn't fond of the scent either. On the plus side, this hair mask is paraben and sulfate free. 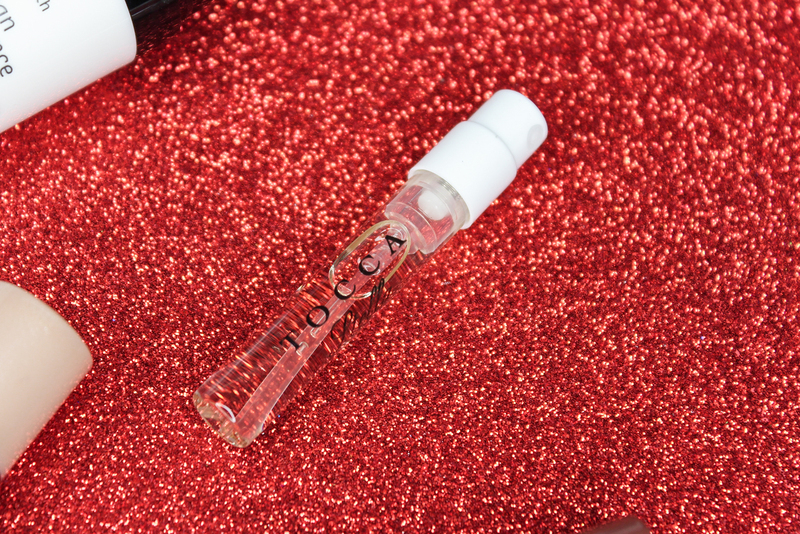 This serum provides long-lasting hydration to skin, with the help of antioxidants and soothing botanicals. It's paraben and sulfate free. I believe I received this same highlighter in one of my other beauty subscription boxes a few months ago, so I am no stranger to it. 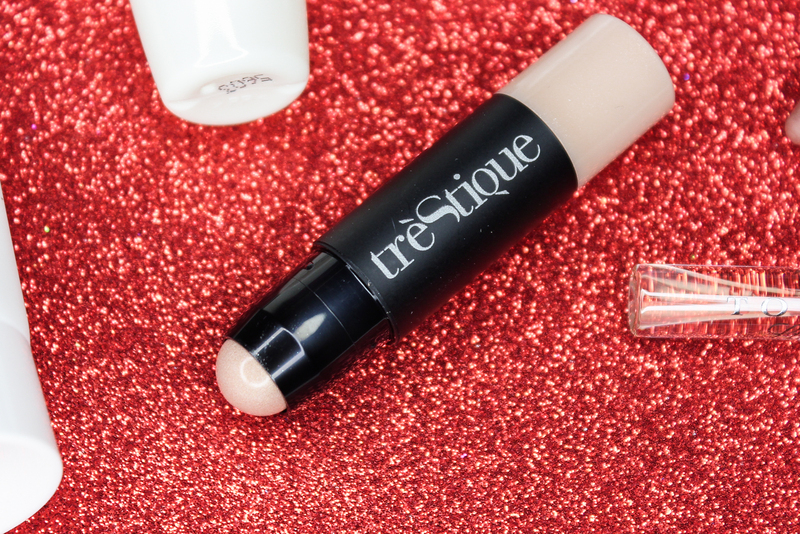 Trestique's Highlight + Perfect Multipurpose Stick contains pearl pigments that impart a luminescent glow to the skin. 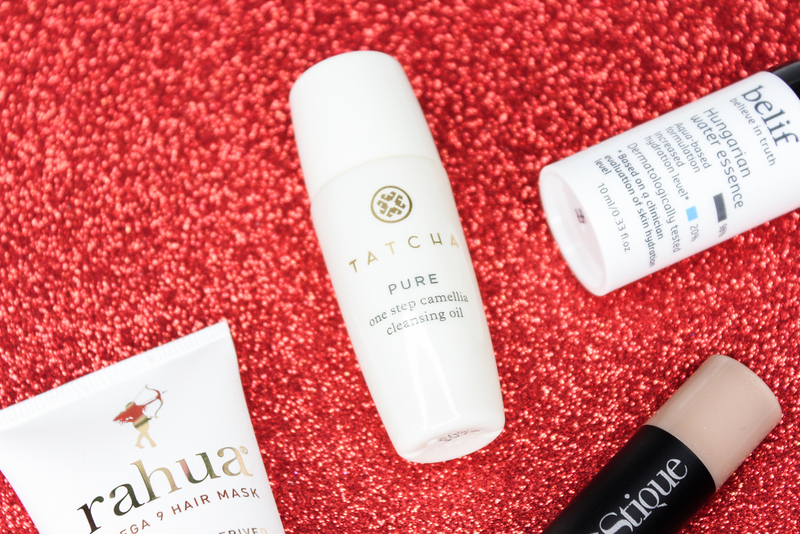 It contains a creamy and lightweight texture that glides on, and blends effortlessly on the skin. I have the shade Maldives Luminescent, which is a stunning champagne pink color. 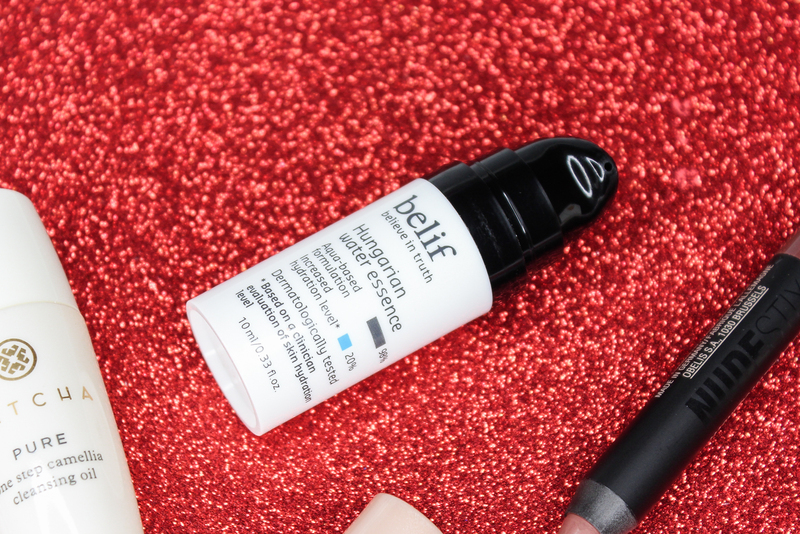 You can use this highlighting stick anywhere-on your eyes, cheeks, cupid's bow and down the bridge of the nose. No matter where you apply it, this highlighter looks great on. But if I want to be a little extra with my highlight, layering a powder highlighter over this highlighting stick definitely amps up the glow factor. I love the fresh and inviting feel of this fragrance. Such a nice pick for spring and summer. Stella contains notes of blood orange, white freesia and sandalwood. What did you think of your May Play! By Sephora items?